In academic life, the name of the game is publish or perish. 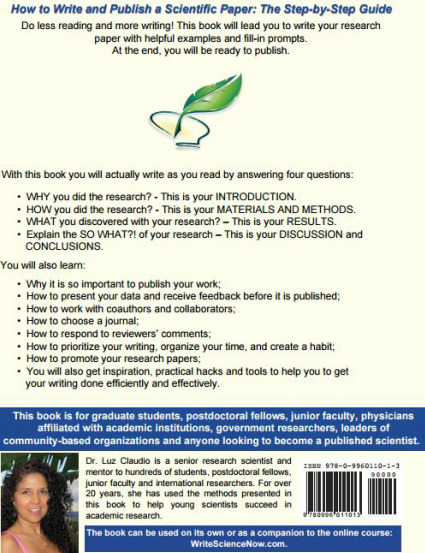 This guide will take you step-by-step through the process of writing and publishing your research. From organizing your background literature, presenting your data, writing an abstract for a conference and adapting it for your paper, selecting a journal, outlining and actually writing your paper in small, doable steps. It is all here! Spend less time reading and more time writing and publishing your own work. This guide will take you by the hand and have you writing right away. With examples, workbook-style sections and updates, you will not have to read stacks of books to learn how to publish your own research. This is a practical guide that goes to the point and gets you to just write!